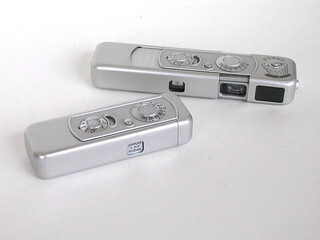 The classic Minox sub-miniature camera was originially designed by the Estonian engineer Walter Zapp. It was produced in Riga (Latvia) by Valsts Electrotechniska Fabrika (VEF) in 1937-1944. After the war, the camera was further developed in Wetzlar, Germany, and the first German Minox was released in 1948. 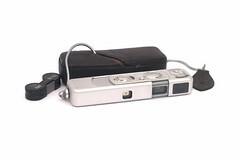 The light aluminum shell Minox B, which included a coupled lightmeter, was produced from 1958 to 1972. 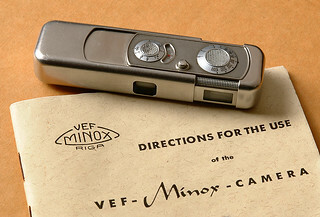 It was followed by the Minox C in 1969. Since then several models have followed, and the camera has been updated with better exposure meters, electronic shutters, etc. Listing of many Minox instruction manuals, many in color, PDF format. on M.Butkus's OrphanCameras.com website. This page was last edited on 31 January 2018, at 11:30.